Our wedding cake tasting and consultations are seeing more couples choosing to have cake/cupcake display for their guest to enjoy. Most couples want easy cake serving options for their guest and this display is a great option. 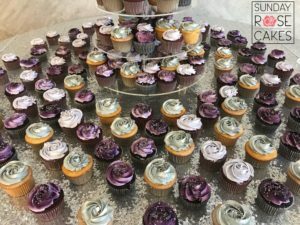 If you have a cocktail reception, it will be easy for your guests to enjoy their delicious cupcake while standing and mingling. Also, you will be able to have more flavor options and if some of your guests have dietary restrictions you can have a section for gluten-free choices as well. 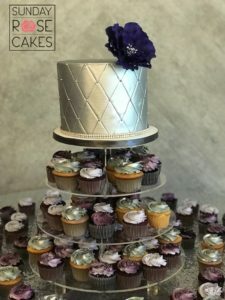 The cupcake cake display can be quite stunning with the couple’s cake and beautifully decorated cupcakes. 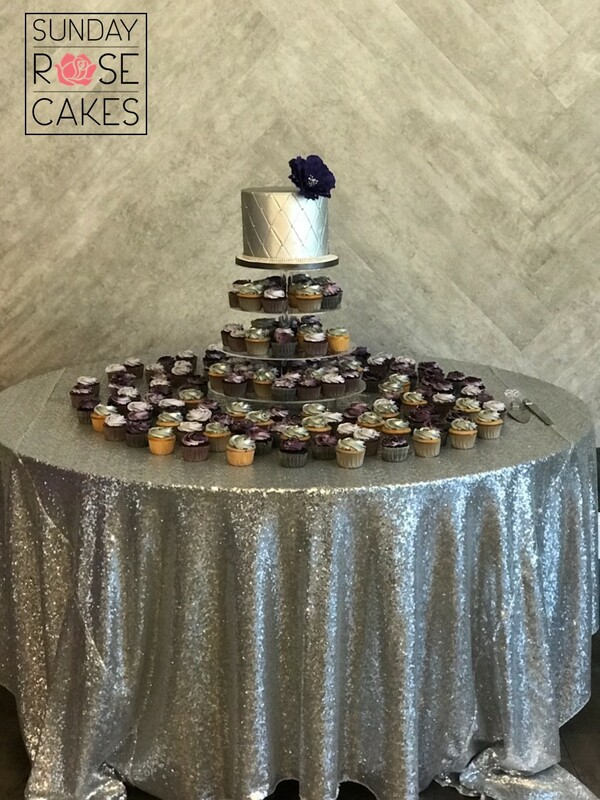 You can view our wedding cupcake display of silver and purple.